" ... After its foundation as Deutsche Tiefbohr-Actiengesellschaft in 1899 the company operated already from 1911 to 1970 under the name of Deutsche Erdoel AG. Even after the latest change of owners DEA remains a German company. 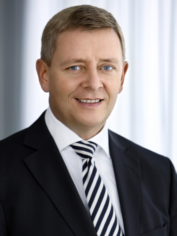 The names of the international subsidiaries will be adapted accordingly ... "
March 03, 2015 + + + After the acquisition by LetterOne, the Hamburg based upstream company RWE Dea has a new owner, a new supervisory board and gets a new name. LetterOne is a privately owned Luxembourg-based global investment vehicle focused on utilizing its financial resources, management and investment expertise. At the first general meeting of shareholders a new supervisory board was appointed. 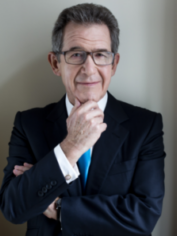 Chairman of the DEA Supervisory Board is Lord John Browne, who recently has been appointed Executive Chairman of LetterOne Energy and who was Chief Executive of the BP plc, the British energy group from 1995 until 2007. Left: Chairman of the DEA Supervisory Board is Lord John Browne, who recently has been appointed Executive Chairman of LetterOne Energy and who was Chief Executive of the BP plc, the British energy group from 1995 until 2007. "The realignment of DEA from a group subsidiary to an independent oil and gas company offers many opportunities," said Thomas Rappuhn, DEA’s Chief Executive Officer. DEA, with 1,440 employees, is currently active in 17 countries and holds around 160 exploration and production licences as an operator and as a partner. An important growth incentive for DEA will be investments in exploration and production. In the light of the oil price drop, it is now essential to successfully position the company in the oil and gas industry, an industry which is characterized by structural changes. "We are well prepared for the future," underlined Rappuhn. "Our exploration successes in recent years, the increases in our oil and gas production and secured reserves form the basis for DEA's future success." DEA Deutsche Erdoel AG (change in company name has been applied for registration) is an international operator in the field of exploration and production of natural gas and crude oil based in Hamburg. Its focus is on safe, sustainable and environmental conscious exploitation of oil and gas. DEA has 116 years of experience working along the whole upstream value-chain as operator or project partner. DEA with a staff force of 1,440 employees has stakes in production facilities and concessions in Germany, the UK, Norway, Denmark, Egypt and Algeria and currently holds exploration concessions in Ireland, Libya, Poland, Suriname, Trinidad & Tobago and Turkmenistan. Moreover, in Germany, DEA also operates large subsurface storage facilities for natural gas. LetterOne is a private investment fund headquartered in Luxembourg; it was established in 2013. The fund deploys its financial resources as well as its management and investment expertise to make value-driven investments in the energy and telecommunications sector through its subsidiaries L1 Energy und LetterOne Telecom. Its assets originate from the successful investment and operational track record of its founding shareholders including the sale of the integrated oil and gas company TNK-BP.